August 5th, 2018 UPDATE: GREETINGS TO ALL OUR BRETHREN, SPONSORS, SUPPORTERS AND ALL OF YOU WISHING US WELL. Thank you for all your kind and generous prayers and financial support for the deprived and abandoned orphaned children through our sponsor GMFC. 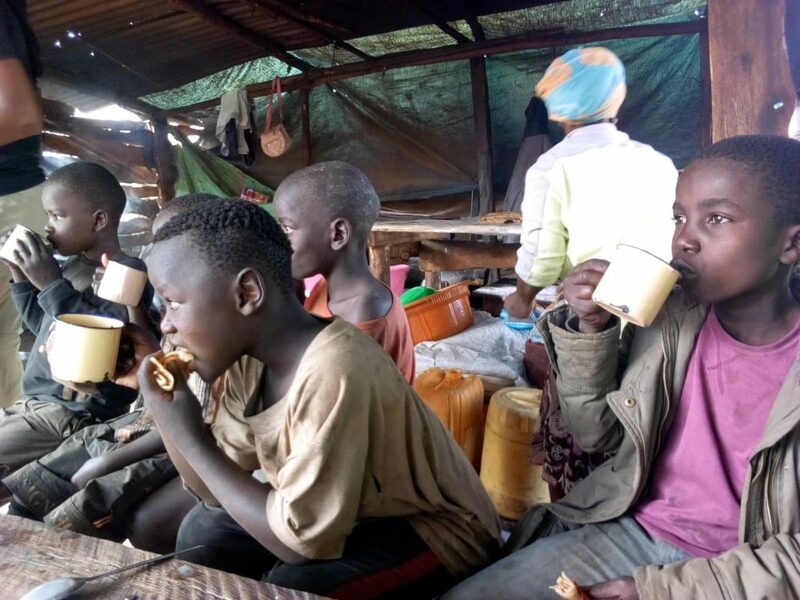 We are serving the 40 orphans and 17 widows with food, medical support, educational materials (school uniforms and fees for some) and most important spiritual caring. Teaching them how to live holy. The children we care for come from broken families, semi orphans(single parent), full orphans and children from HIV AIDS infected families. Last week, we visited three homes neighboring my home. Orphans from the first two homes accompanied us to the last home which has 4 orphans staying there with their old grandparents . As we arrived, we were greeted by these precious orphans running towards us with huge smiles. 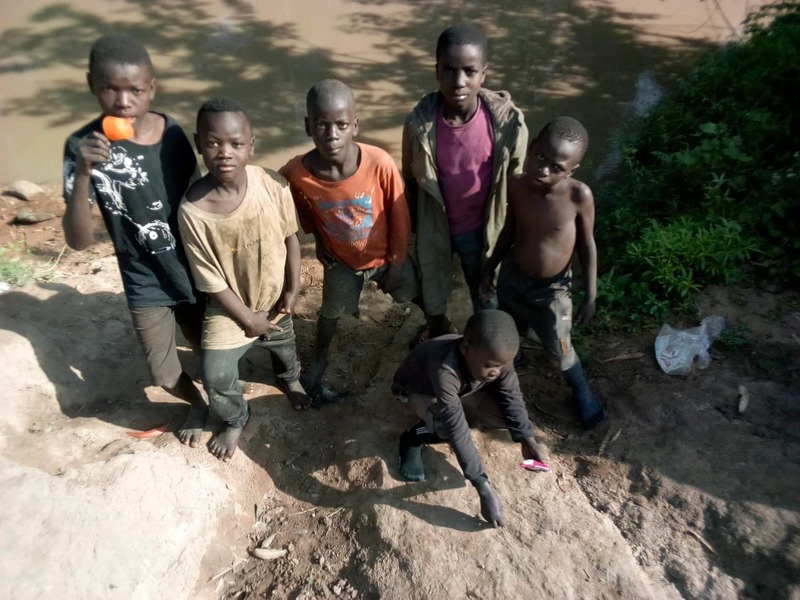 The children led us to an old house build of very old rusty iron sheets and walls made of mud (please closely look at the floor and the walls of the house in the video. You can’t imagine human beings lives here… We are praying for God’s intervention that He provides in his own time that we can be able to build or renovate this house for this family. These precious children welcomed us with high-spirits with singing and dancing. Brother, everytime I visit orphans in their homes, I’m humbled by the children’s sheer joy and love despite their severe circumstances. You couldn’t ask for more happiness in that one roomed house. If you can imagine, these kids quite literally have nothing but the clothes on their backs. While we were there, I asked them, “What’s one thing you would like to have if we could give you whatever you wanted today?” One child, the little spokesperson for all of them, jokingly responded, “Life is all we want.” She couldn’t maybe understand how touching that statement was to our hearts. I couldn’t help but tear up. It was difficult to respond to such an incredible request but we know who gives LIFE, Jesus! The next child simply asked for a piece of bread. I was blown away by these two responses. We put arrangements in place and within no time we bought them food from the nearest hotel 5 kilometers away. Time and time again, we are struck by the lack of resources with which more poor children are made able to survive. The needs are at times beyond measure, but we thank God our sponsors GMFC have enabled us to give them the much needed basics. Our desire is to give them an opportunity to have exactly what the one girl so simply requested: “We want life” which includes physical like (physical food) and also Spiritual LIFE. Please pray for us that we may reach more orphans in need. God bless you. Praise God bless you brethren. 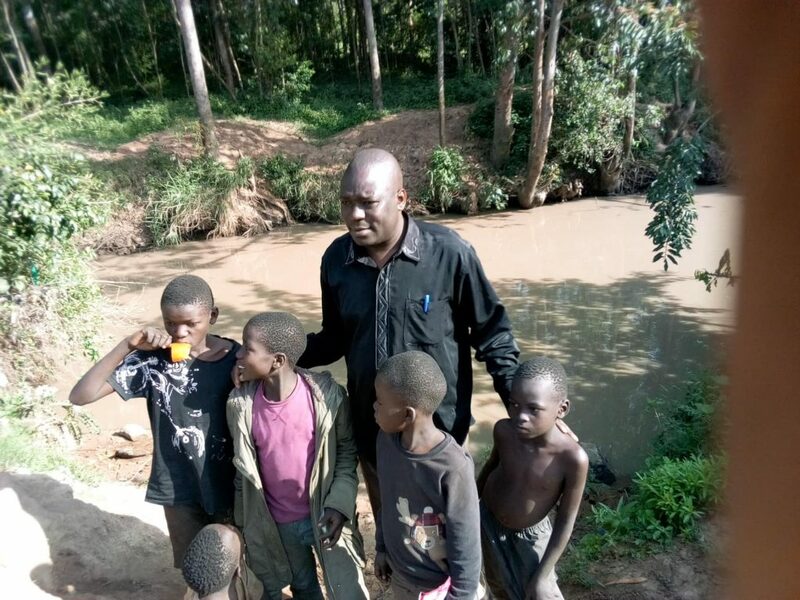 I was looking for somewhere to pray then I ran into these street children from the small town of Moi’s Bridge. 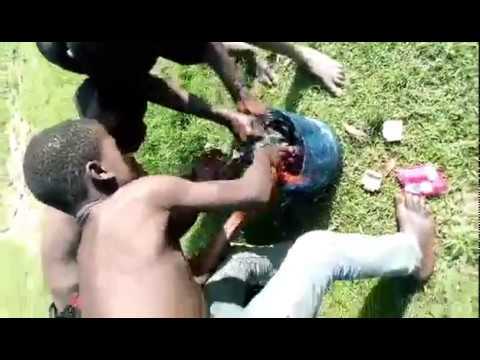 They looked tired, hungry and dirty and as usual, they asked for some coins(money). I bought them food and took them down the river for a bath and for them to wash their clothes. Later, I preached Christ and prayed for each one of them. Praise God brothers. Surely preaching this Gospel will take US to where our Lord Jesus Christ wants us to be. Hello brethren. On Sunday we had a very wonderful fellowship. 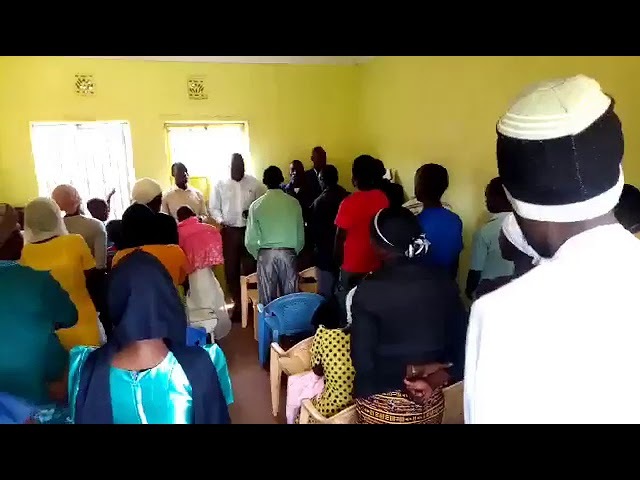 Biblically, our main reason of congregating is worshipping God in truth and spirit, edifying each other in various ways and training brethren in order for them to go out there and preach repentance to the lost souls. This Sunday was brother Tobias’ time to practice what he has been learning in fellowship. The church and I in particular thank God for this 25 year old young brother. 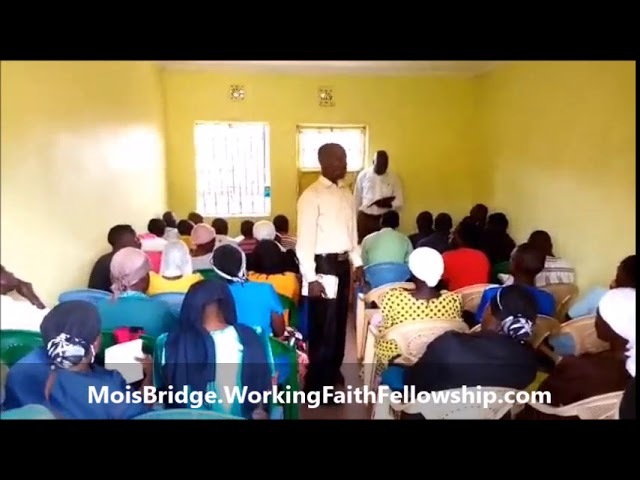 Brethren, please pray with us for God to send more workers in His field here in Moi’s Bridge, Kenya. Amen and glory to our lord Jesus christ. Below is brother Tobias ministering in our adults fellowship yesterday. 1 Corinthians 14:26, Romans 12:4-8, 1 Peter 4:10, Titus 1:4. 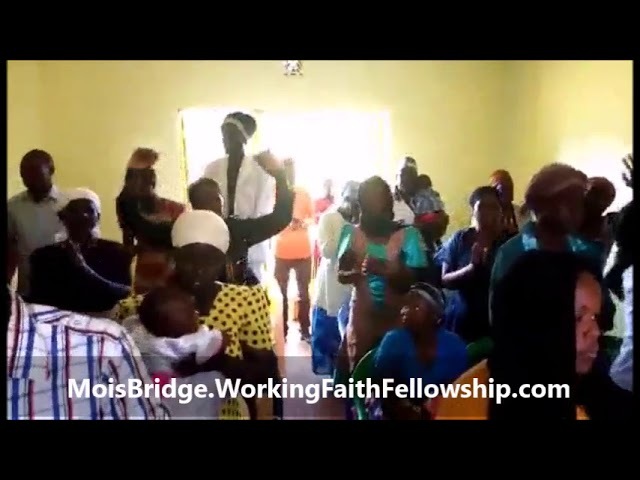 God always surprises us in our Moi’s Bridge Working Faith Fellowship. Sometimes we preach out there in the fields not knowing that some people we interact with will one day visit our church. Why? Its because some of them are really violent against our true biblical teachings that we preach. This last Sunday, one man who is a drunkard and drug addict with dreads on his head came to our church He calmly sat in the last row. He was dressed in a white suit and had a round woolen hat on his head to cover the dreads. You can see him in the in the two videos below. He left after the fellowship without meeting me but I understand that he promised to come back maybe next Sunday. Please join us in praying for his soul to choose to repent and serve the Lord God Almighty. Pray for a great miracle of salvation. The man in white in white suite has One hand and surely God knows his heart. He has been a very serious critic to our teachings so please join me as we pray for salvation of his soul. In Jesus name, AMEN. Bro Haron Wanjala (Western Kenya GMFC / WFF Overseer). 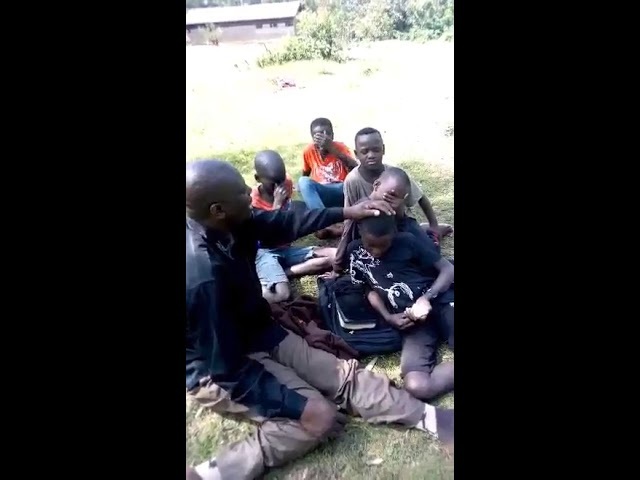 Brother Haron Preaching to the Children in English & Swahili. A most beautiful worship from the hearts of the saints (What a Friend We Have in Jesus. Children washing their clothes in the river.